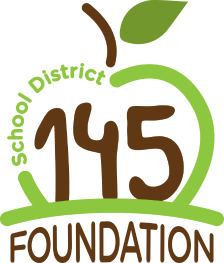 The School District 145 Foundation for Education supports a Classroom Grant Program for School District 145 teachers.  The purpose of the Classroom Grant Program is to provide financial assistance for unique, creative and innovative learning opportunities for School District 145 public school students, not otherwise available through school district budget allocations or other resources. The maximum grant award is $2,000 per application. A total of $15,000 is awarded to classrooms through this program annually. The School District 145 Foundation for Education Grants Committee will determine individual award amounts and reserves the right to reject or deny any application for any lawful reason. When reviewing applications our Grants Administrator and decision committee consider 1) number of students positively affected, 2) available matching funds or funds from other sources, 3) whether or not the request is unique, creative, innovative, and 4) completeness of application, among other things. Requests for basic curriculum materials, professional development, building maintenance or broken furniture replacement will not be funded; those expenses are the responsibility of School District 145. Applicants must be a teacher within School District 145. Applications are accepted anytime. After submission our online system generates an automated e-mail response thanking the applicant and restating all information submitted as part of the application. Complete submissions are forwarded to the Grants Administrator for review at the next semi-annual review date. For an application to be considered, a signature form (below) must be completed; it can be uploaded with the application or e-mailed to grants@dist145ffe.org. The Grants Committee will notify the teacher of its decision. For an application to be considered in the Fall 2019 grant cycle, it must be received by 11:59 p.m. on Sunday, October 27, 2019, along with a completed signature page. Applications received after the deadline will be held until the the next grant cycle. Very concisely, describe your project. What classroom needs, problems, or opportunities does the proposed project address? What are your objectives? Include specific desired outcomes. Describe the student population(s) and how many students will be directly impacted. Describe how you will evaluate this project to determine how well your objectives were met. Include information such as material and equipment needs, sources of supplies, and cost. Be specific. If you will be using additional materials, labor, or funds for this project (i.e., donations, volunteers, school funds), please describe. If applicable, you may add links to websites that illustrate items being requested.